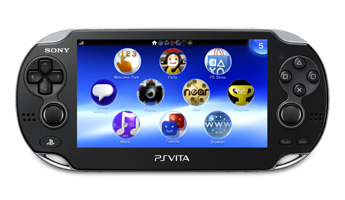 Since I just purchased a Vita last Thursday, join me as I give my impressions on it the first few weeks, about how we are getting along! Ok so, lets talk about how I am liking it.... I AM FREAKING LOVING THIS AWESOME PIECE OF DEVICE! REALLY IS POWERFUL!!! I mean, everything works so great and smoothly on this. The internet, the games, the apps! Everything! The game I got with my bundle was Uncharted Golden Abyss, and it is a really well done game, that feels nothing short of blockbuster... It plays so damn well. It really does make the device look like an advanced piece of tech! I have also played Gravity Rush and PlayStation All Star Battle Royale, and both of those games are really awesome, and look absolutely beautiful. My favorite game for it tough, is probably Sine Mora, it just feels like it was made for the PS VITA, so much fun! For Uncharted, the thing that works really good, and what I didn't expect would work... is the motion controls... for example, when you aim your gun, you can aim it using the motion sensors on the PS-VITA, they work so damn well! It really is fun from it! Also, for the internet, it runs and load way more scripts then my iPhone can. I mean, I can read and respond to comments here on Kotaku and Kinja... even creating new posts! That is a solid plus in my book. I also tried with some, iPhone compatible websites, where the videos mostly work only with iOS, and they ALL WORK!!! Also, the back touch panel, is a HUGE plus, because I love using it to scroll through my webpages! For Apps, I downloaded the Facebook and Vita App, and the layout is so damn good! It is a really fluid interface that works great with touch! I also didn't expect Vita to be multi-touch capable, but it is! However, my most favorite feature is... "THE AUTOMATIC UPDATE FOR EMAIL"... Seriously love that! It gives me a neat little notification when I receive an email during gameplay, and I can easily switch between the game and the app... and when I am done, can continue on with my game from where I left off! This device is seriously powerful, I really did not expect it to be this powerful! I am so surprised and happy with my purchase! I also can't wait to buy many ps1 games, especially Silent Hill! God this device is godly!